Your stay at Royal Malewane is an intensely personal and spiritual journey which will leave an indelible impression in your memory and a yearning to return in your heart. 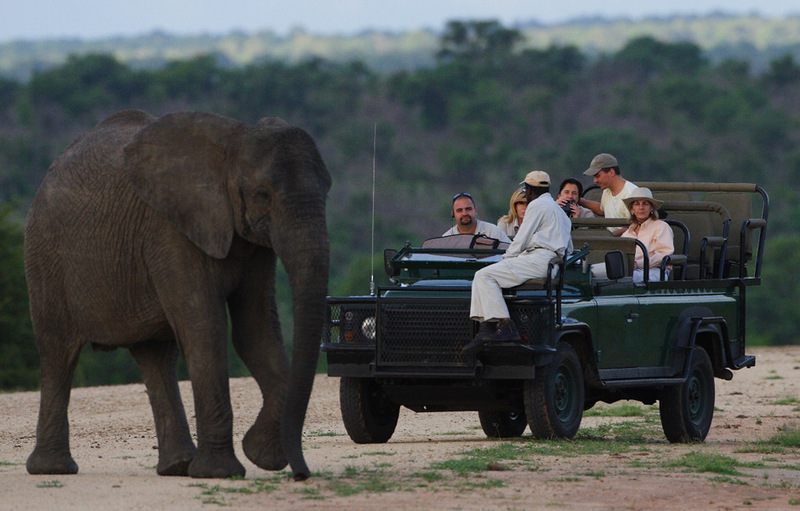 Set deep in the African bush, on a private reserve within the Greater Kruger, Royal Malewane offers visitors the thrill of an intimate game viewing experience and up-close sightings of the Big Five. 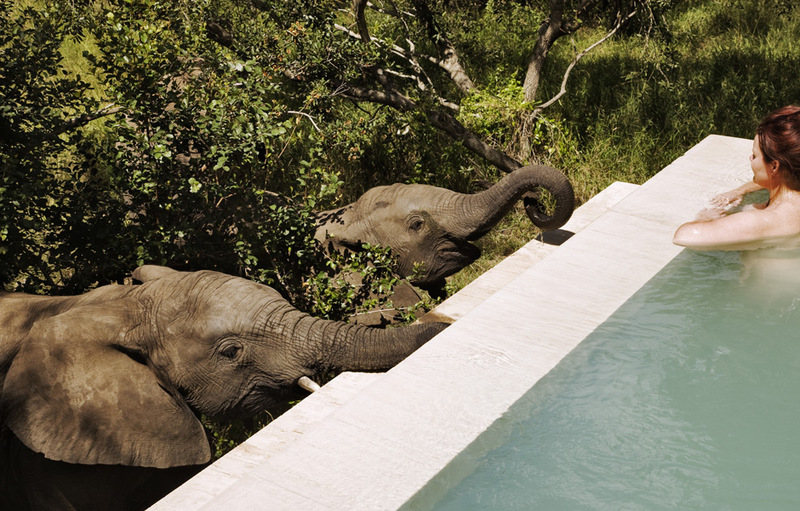 Royal Malewane offers unparalleled luxury within scenic natural beauty. The thatched Lodge is distinctly colonial with an African influence. Gorgeous olive suede wing-backed chairs sit comfortably on Persian rugs alongside finely hand-crafted dark-wood African furnishings and deep rattan couches. Everything here is about stylish comfort that does not detract from the surrounding splendour. Surrounded by the untamed African bushveld, The Waters of Royal Malewane Bush Spa soothes your soul and refreshes and revitalises your body and spirit in a setting of stillness and tranquillity. Drawing on the much-celebrated healing powers of water, the Spa provides indoor and outdoor therapeutic massage, luxurious body treatments and hydrotherapy by internationally qualified therapists. All hydrotherapy treatments make use of untainted, mineral-rich water, sourced from an underground stream that flows through the reserve. Relax around the heated pool in the central courtyard, and enjoy the sights and sounds of Africa. The treatment rooms, a fully equipped gymnasium, steam room, hot and cold African baths, Jacuzzi and casitas where guests can enjoy the treatment of their choice, are positioned around the courtyard where your only disturbance is the gentle whispers of flowing water. With a world-wide reputation for sumptuous fine dining, the Lodge is the first to boast a Chaîne des Rôtisseurs Blazon for cuisine. 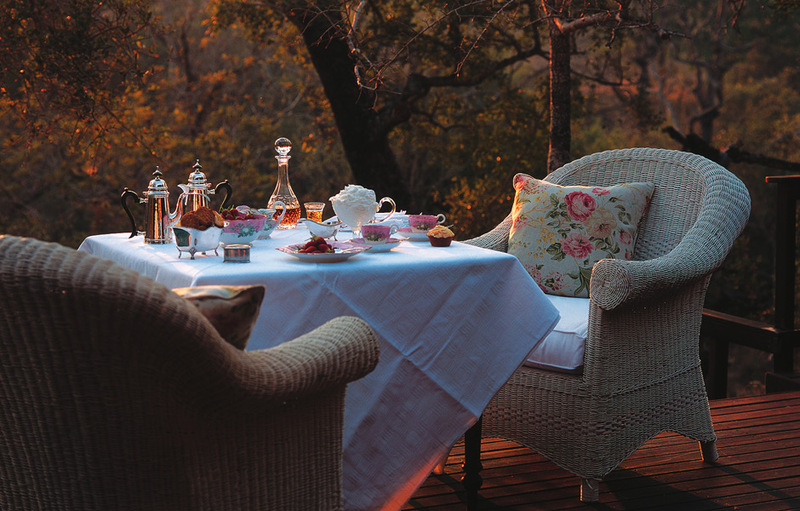 Every meal is a celebration at Royal Malewane where you feast under a glittering star-filled sky while harmonious bush melodies provide the soundtrack to unforgettable moments. The dining area and lounge overlook the water-hole and spectacular game viewing often makes up the backdrop while dining. World-class cuisine perfects the luxury experience, and all meals, local beverages and house wines are included. Indulge in a full breakfast, lunch and gourmet dinner, all expertly prepared by the award-winning chef, John Jackson. The highly experienced chefs at Royal Malewane cater for any special preferences or requests, from a favourite dish served under starlight in the boma, to a Bedouin tent bedecked with Moroccan lanterns. The Lodge’s cellar is filled with a handpicked selection of South Africa’s finest wines, the perfect accompaniment to any of the meals. Full of old-world grandeur and charm, the six spacious air-conditioned Royal Malewane Suites offer complete privacy. Boasting unparalleled views, they are the pinnacle of refinement and opulence. Luxurious appointments provide a neo-classical refuge in the untamed bush. Palatial, air-conditioned bedroom/sitting rooms feature a fireplace and canopied king-size bed. The exquisitely appointed extravagant bathrooms featuring a window-side Victorian bath, and indoor and outdoor showers, speak volumes about the standards and quality to which the Lodge subscribes. Each suite has its own rim-flow pool, wooden deck and thatched gazebo. For the ultimate indulgence, the Royal and Malewane Suites are palatial, stylishly decorated havens. 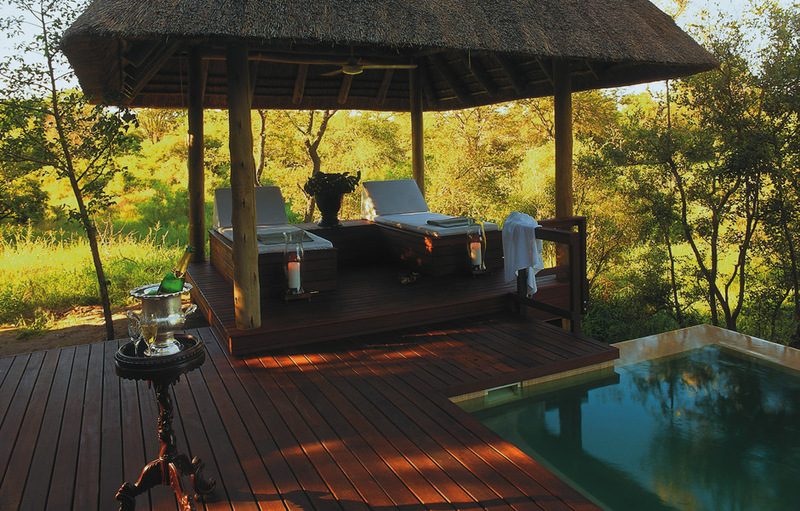 The suites with their own private rim flow pools, decks and gazebos are amongst the biggest and most luxurious in Africa. Each suite sleeps four guests in two en-suite bedrooms and enjoys private lounge and dining facilities, a personal chef, private butler, private game drives and up to 4 complimentary massages per suite per day. Guests wishing to arrive incognito may request the use of a helicopter or executive jet. 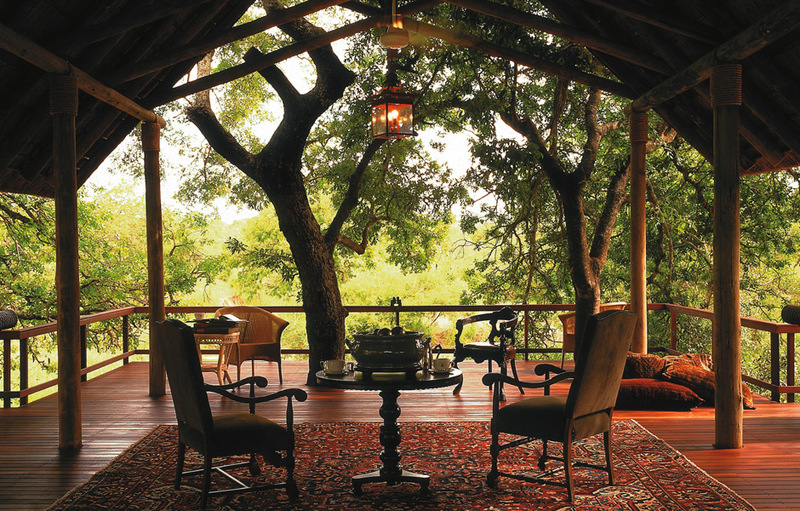 Africa House, sleeping 12, is a private bush paradise two minutes from the main lodge, filled with vibrant colours and an eclectic mix of antiques. A central courtyard with fountain, spacious veranda with infinity pool and striking collection of artwork make this ideal for the discerning lover of the exotic and the exclusive. 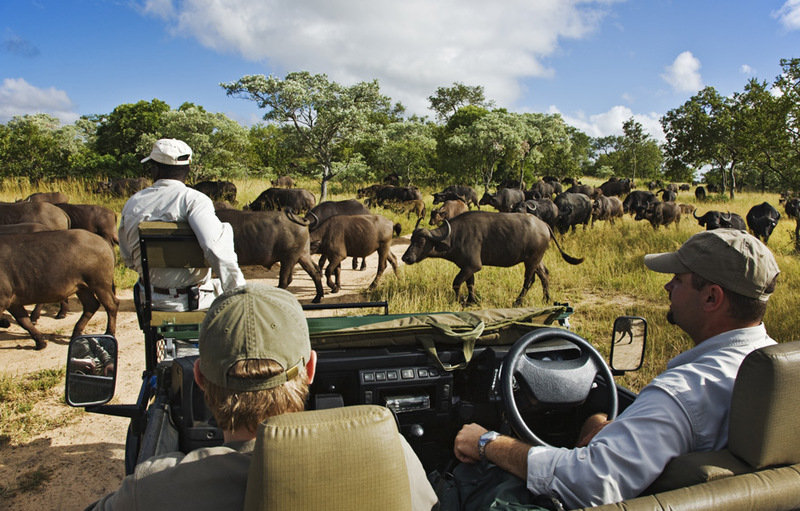 Private Chef, butler, housekeepers, ranger, tracker and game drive vehicle ensure that service is tailor-made to guest requirements. Children of all ages are welcome.